Manneken Pis, Brussels, Belgium. The SURF research group (VUB) is contributing to solve the enigma of Manneken Pis. Is Manneken Pis real? The authenticity of the most famous statuette of Brussels has been subject to debate amongst art historians. As from today, they will receive assistance in their search for the truth by Electrochemical and Surface Engineer Amandine Crabbé of the Vrije Universiteit Brussel. She will investigate its authenticity by analysing the composition of the bronze. 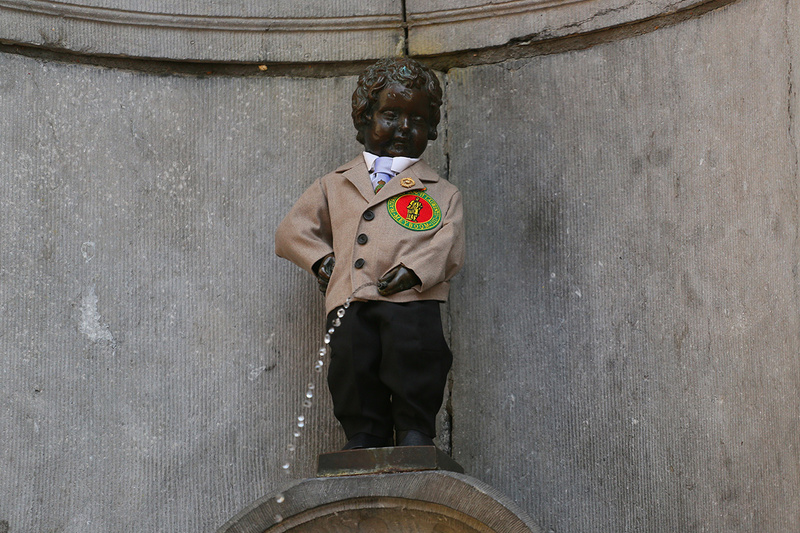 Manneken Pis was originally commissioned by the city magistrate to Jérôme Du Quesnoy the Eldest in 1619. However, it is not at all clear if the statuette preserved today in the collection of the Brussels City Hall Museum is the original bronze. First, there is the existence of different copies, produced in different periods of time. Furthermore, there are the several stories about the little boy being abducted, for example by English soldiers in 1745 and by a convict in 1817. Each time the statuette seems to have been found and brought back. The current statuette in the Brussels City Hall has been found in two halves in the Canal of Charleroi in 1966. It has been restored in 2003 and since then presented to the public as the original bronze made by Jérôme Du Quesnoy the Eldest. However, there is still some uncertainty about the authenticity. Dr. Amandine Crabbé of the SURF research group will now analyse the bronze composition of the two halves and the pedestal. The investigation is twofold. First, a portable X-ray fluorescence spectroscope will be used to make a full overview of the statuette. This technique is non-invasive: it allows making a lot of measurements without touching the bronze. It also allows comparing the chemical composition and the relative concentration of the upper and lower part of the statuette. However, the corrosion/patina layers on the surface of the bronze give no information of the bronze quantitative composition and the patina stratigraphy. Therefore, depending on the results of these first measurements, three pinhead sized samples will be taken from the upper, lower and pedestal part of the statuette, using non-destructive techniques. The Electrochemical and Surface Engineering research group (SURF) at the Vrije Universiteit Brussel focuses on 5 cross-linked research domains: electrochemical engineering, electrochemical modeling, corrosion technology, surface engineering and insitu and ex-situ surface characterization. Their website is www.surfgroup.be.